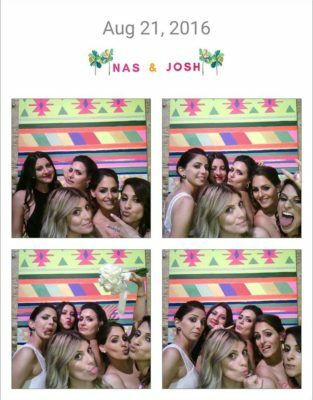 USIE BOOTH is the new way to bring the fun to every event without breaking the bank! In less than 5 minutes, you can assemble the photo booth or pack it away in a rolling utility case. You control the layout, color, logos and text. Create a personalized photostrip that fits your every need. The booth and stand weigh less than 20lbs combined. The compact design ensures that the photo booth is not only light and portable but that it also fits anywhere. The dimmable ring light provides the perfect glow to ensure your guests always look their best. Guests can instantly get their photos via email, text, or social media. We’ve made the process of renting a photo booth easier than ever. You get all the features listed below for a fraction of the cost of other photo booths and delivered right to your door! Choose the date and time of your event and whether you'd like to pick-up the booth or would like us to handle set-up. If you choose our VIP package, your photo booth will be delivered and set-up 1-3 hours before your event to give you a chance to try it out. • All standard rentals are for anywhere between 4-12 hours. 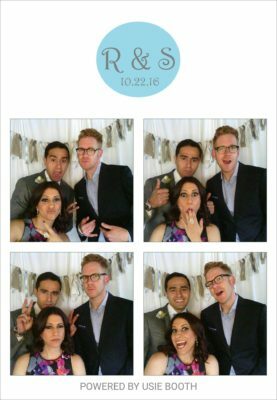 • That means no more having to decide which 2 or 3 hours of your event to have a photo booth. Have one from start to finish! • In fact, are you having multiple events in a row - a conference, rehearsal dinner/wedding or a family reunion? Great! You can keep the booth for your entire event for a nominal additional charge. Once you’re done partying with the photo booth, either drop it back off at our OC office or one of our team members will come back to pick it up. Subscribe to be the first to know our latest news, receive specials and more! Want to rent a photo booth for your next event? "My kids LOVED the Usie Booth!! We recently had the Usie Booth at an end-of-the-year school party for my 6 and 8 year old daughters and their friends. It was such a hit!! We set it up with some props and the kids had no problem using the booth by themselves. They got to take as many pics as they wanted and I even printed out some of the pics on my printer during the party. All of the kids, and even some of the parents, got in on the action. We had a blast and can't wait to have an Usie Booth at our next party." "We used an Usie Booth at our son's 3rd birthday party and it was so much fun!! It was so easy to set up. We put it in the corner of the room, with some props, and all our guests--adults and kids-- kept going back for more pictures. I love that we have so many fun and goofy pictures to remember that day. We will definitely be bringing out our Usie Booth for more events! 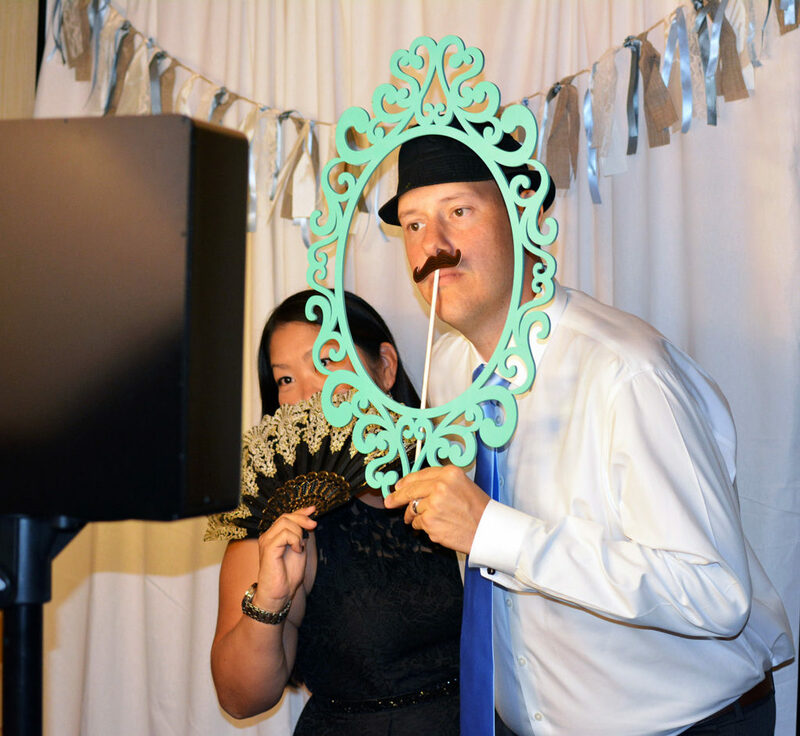 :)"
"I rented the Usie Booth for my wedding because we were on a budget and didn't want to pay $1000+ for a photo booth but still wanted our guests to have the fun experience of one. We LOVED it. Set up was incredibly easy, even on a hectic day like my wedding, and our guests raved about how they could instantly upload to their social media. It made our wedding hashtag very popular 🙂 Highly recommended for all events !" Does the Usie Booth come ready to be used? Yes. 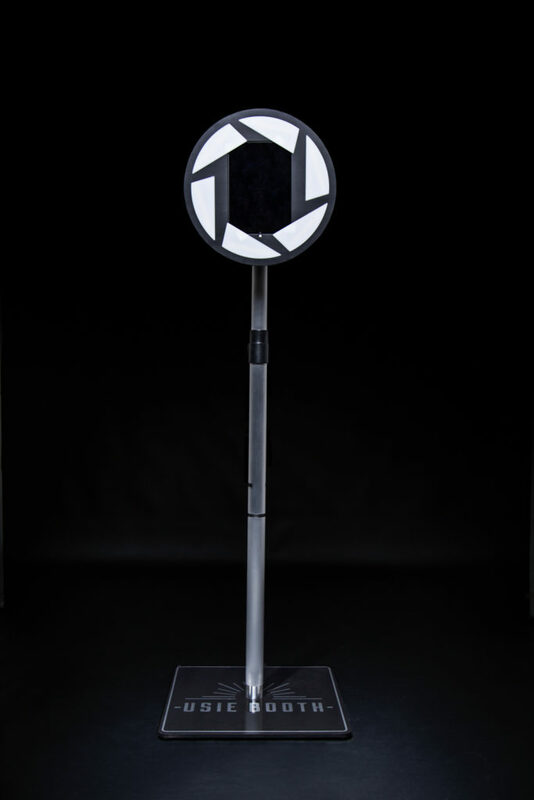 Everything you will need to have a photo booth up and running at your next event comes standard with your purchase. This includes: a tablet, a camera, a dimmable ring flash, a stand, a power supply, and a case. Does the Usie Booth require an attendant? No. The best part of our photo booth is that you can set it up and then just leave it for your guests to use whenever they want. The software is so simple that it will walk your guests through the picture and sharing process with ease. How will my guests get their pictures? 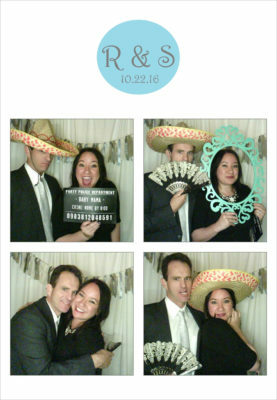 The Usie Booth provides a number of options, including emailing or texting the pictures instantly to your guests. You can also print to a photo printer, share it on Facebook, or save it to your dropbox and email out a gallery of all of the pictures after the event. Yes. The photo booth software has an airprint option. If you own a photo printer, you can link it up to the photobooth through the settings page and print your pictures at the event. Do I have to set up a backdrop? No. Feel free to buy one or set up a DIY one but we’re finding that the party or event serves as a fun and hip background to your pictures. So just point the booth in the direction of where all the action is and let your guests go wild! Yes. From the layout, to the background color, to the text/logo, there are so many ways to customize the photos for each event. Yes. The Usie Booth provides a number of filters and other editing features to customize each photo. How long will it take me to set it up for an event? Less than 5 minutes. Just pop up the stand, place the enclosure on top, plug it in an outlet, and you are ready to go! Does the Usie Booth use a DSLR camera? No. The booth uses an iPad camera. Given that you are standing still only a couple of feet in front of the camera for the photobooth pictures, a DSLR camera is not really necessary. We’re sure that all those amazing selfies and usies you’ve taken with your phone prove our point. Contact us to find out when we will expand to your city. USIE BOOTH © 2018 | Your ALL-IN-ONE photo booth solution for any event!